"Leadershape changed my attitude on how I wanted to spend the rest of my Junior year and my time at Lehigh. My last Fall semester ended roughly and I was feeling discouraged about my ability to complete my Lehigh education in the way I wanted. At Leadershape, I was able to rebuild myself, with a support system, and have a new and positive outlook for the semester." Q: What made you decide to attend Lehigh? A: I wanted a medium sized school that was somewhat close to home and that was known to set their students up for success. Q: How did you decide to pursue Health Medicine and Society? A: I wanted to explore healthcare outside of the traditional, medical school tract. I was not excelling well in the sciences like I thought I should be and I was also losing interest. I was advised to take a break from those classes and that is where I had the ability to take HMS classes where my interest started to peak again. Q: Do you have any advice on the college search? A: To physically explore as many colleges/ universities they are interested in as possible so they can get a feel if they belong at that school. Can they see themselves there for the next 4+ years? Also, don’t be afraid if they do not know what they are looking for in a school. 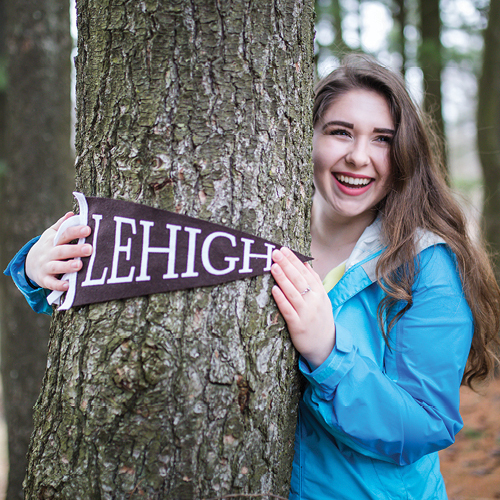 College searching was one of the first major decisions I had to make for myself and I struggled with knowing what I wanted but ultimately, I found Lehigh.